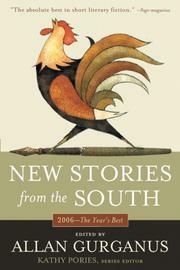 The spirit of play is at work in this lively latest crop of Southern stories gamely chosen by fiction-writer Gurganus (The Practical Heart, 2001, etc. ), whose own work has appeared in the series. Altogether a delight to savor.